Free Stuff in Las Vegas is a lot better than high priced stuff in other cities. Nothing is free, right? Well, it is in Las Vegas. 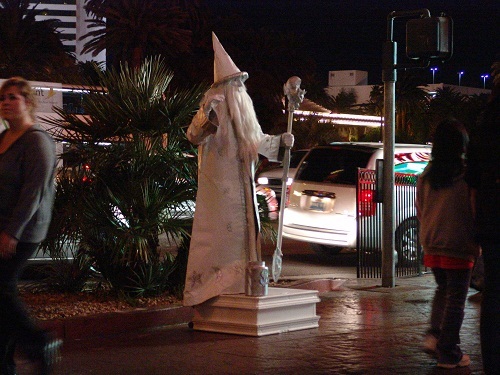 Free stuff is all over Vegas to get You to spend money in that location. As long as You keep that in mind then it really is free. But if You see the free rain show at Miracle Mile only to buy a 400 dollar purse on Your way out, then that rain show wasn't so free. If You are like Me You can get the free stuff without spending money. Circus Circus: Free performance under the Big Top starting at 11am daily.These are highly skilled top quality athletes performing stunts and tricks that will impress the young and old. 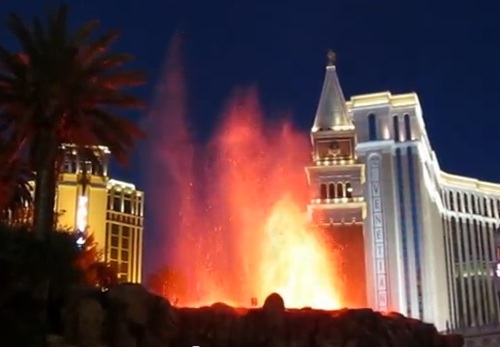 Mirage:Volcano show is now just a few times per night, no set schedule, get lucky and see it. Also at the Mirage, The Aquarium at front desk: Very impressive display of coral and fish. See it 24 hours. Lush indoor rainforest in the atrium, see it 24 hours. Update: This show is closed. The corner is now a CVS. 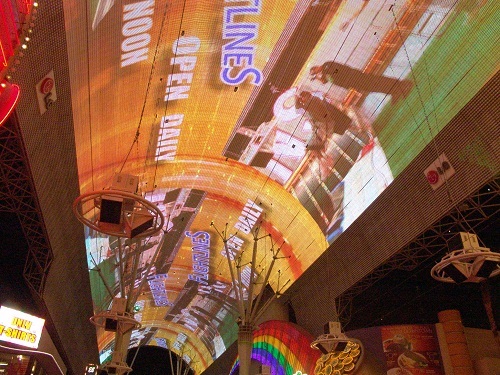 Fremont Street Experience: Downtown Fremont Steet. Dusk until at least midnight usually later. 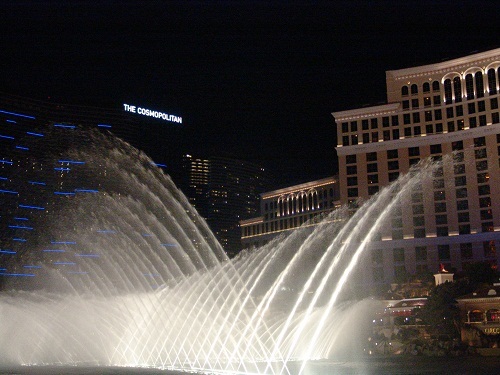 Do not leave Las Vegas without seeing this at least one night. This is old Vegas when the sun goes down. Nightly free entertainment. You can take the bus from the strip for 3 dollars each way, its well worth it. 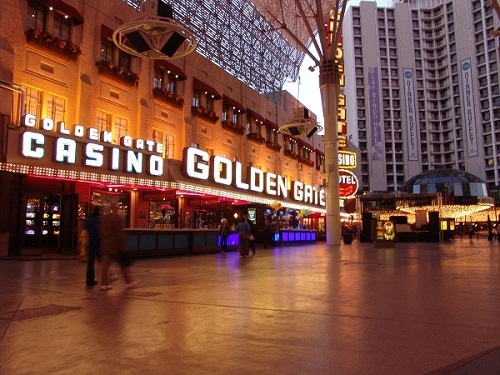 Golden Gate: (downtown)This is the oldest Casino in all of Nevada. Built in 1906, see its transformation from the pictures in the hotel lobby. Get a 99 cent shrimp cocktail while you are there. You need a player’s card to get it but the players card is a good free souvenir that says 1906 club on it. 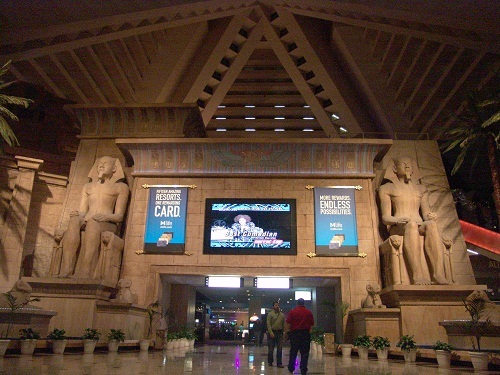 Luxor:Worlds largest AtriumSee it 24 hours. 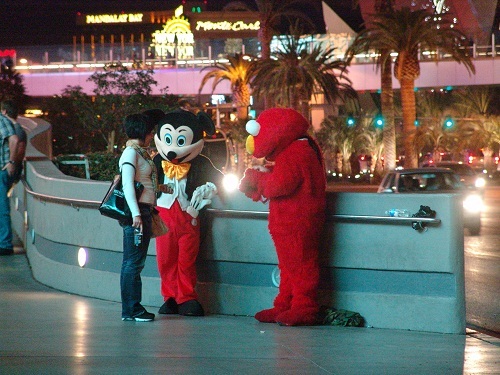 Free Entertainment on the Las Vegas Strip, You never know what You will find but for sure there will be something to choose from. 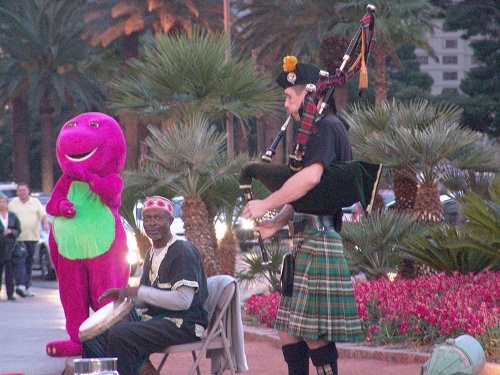 Where else will You see Elmo, a bongo and bag pipe player in the same place? People Watching, Las Vegas Strip, can You spot a beautiful lady with lots of money? Who is She? Is there a rich husband gambling big inside the Casino or is She the one with the money? RIO: Show in the SkyThursday-Sunday starting at 7pm till midnight. Children are not allowed in this area so take this one off the list if you are looking for free stuff involving the kids. Take a close look at the track hanging from the ceiling that has to support tons of weight in this show. This is a major piece of equipment. You might see Your blackjack dealer up in the sky since many of these performers serve double duty. 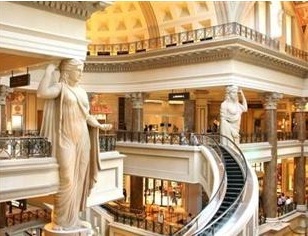 Caesars Forum Shops: One ofThe World’s only curved escalator. See if you can figure out how it works. 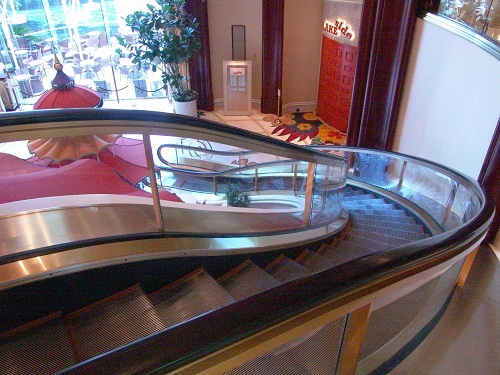 Wynn Curved Escalator. 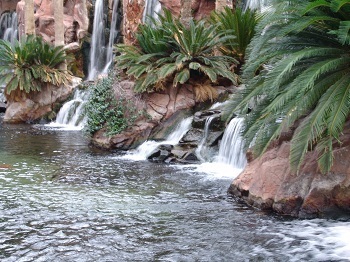 As Wynn saw the attention the forum shops got for theirs, They decided to put one in also. Dealertainers: now closed Watch the celebrity impersonators deal cards and rapid roulette. They have the best Michael Jackson I have ever seen and the Britney is good also. See Elvis, Janet Jackson and more. 11am to 4am. UPDATE: Imperial Palace changed to the Quad, then to the Linq but then closed the dealertainer show. 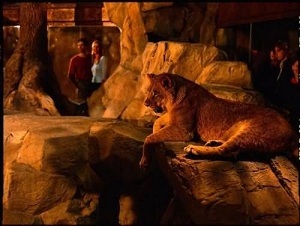 MGM Grand: The Lion Habitat is now closed. 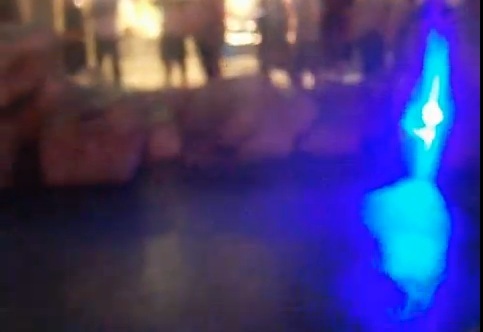 It was one of the best free attractions all over Vegas. Planet Hollywood Shops: Rain show including thunder and lightning at Merchants Harbor in the Planet Hollywood Shops: Merchant’s Harbor is in the middle of the mall near the parking garage. Shows are every hour Monday – Friday and every half hour on Saturday and Sunday. Human Statue, find them on the Strip, downtown and inside shopping malls. If You get Your picture taken with them, You should tip them. Planet Hollywood, People Watching. In front of the Planet Hollywood is the best People watching spot. Grab a cold drink and be entertained for hours. Binions Cowgirls, You don't have to play to look and its like going to a strip joint but classier. Many Casinos make the dealers take turns dancing on a pole. Golden Gate, free dancers. Part of being a bartender at most places now is You must dance like a stripper in rotation with a few other girls. 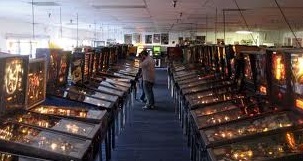 Pinball Hall of Fame 1610 East Tropicana Ave, free admission.